Teleport instantly to the town of your choosing. Note: Also requires a normal teleportation ticket sphere or orb. Need to get to another town right now and don't want to wait for the next normally scheduled Chronomage transport? Make your own schedule with this rush ticket! Simply hold your (seperately purchased) ticket orb or sphere in one hand and RAISE this rush ticket to be immediately whisked away to your desired destination! 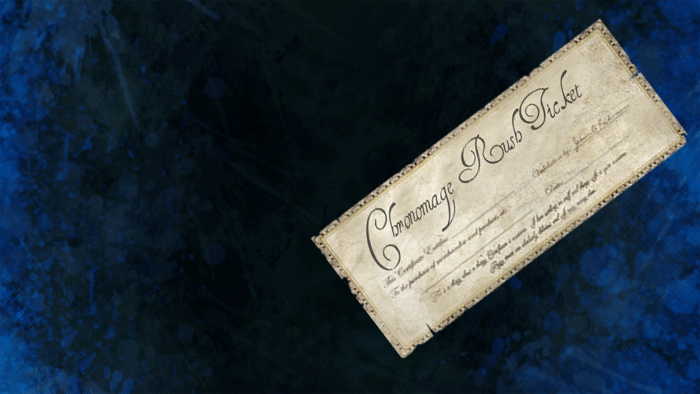 Appearance: "A Chronomage Rush Ticket"